The Road Trip That Keeps On Going! We were looking to depart around one. I spent the morning finishing up a few loose ends – I had things to recycle and wanted to drop off a few items at the Interpretive Center (the place I volunteered). 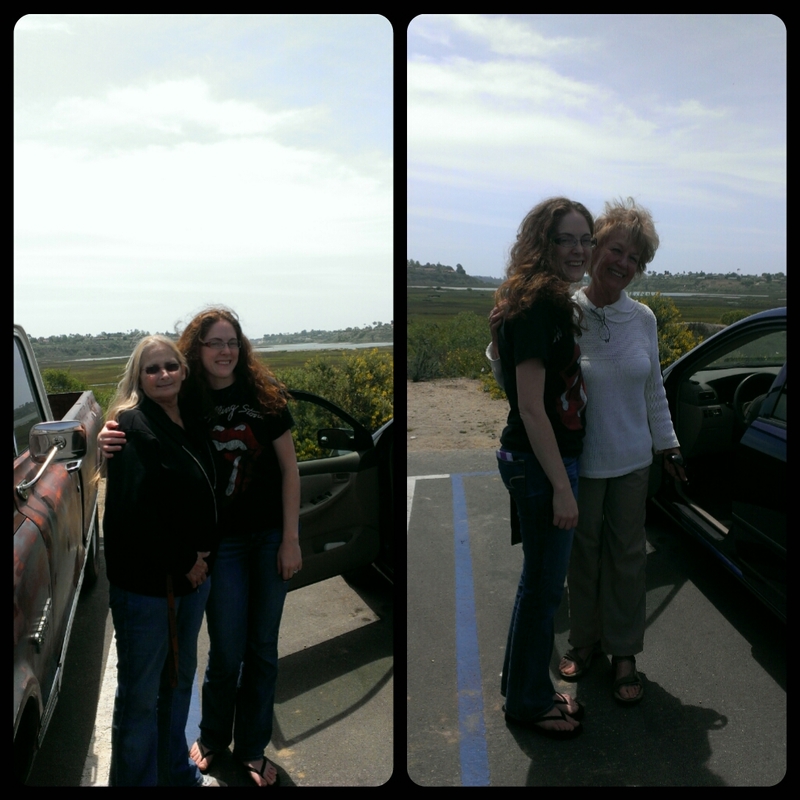 When I was at the Interpretive Center I was able to say goodbye to a few more friends that I had volunteered with. Then I headed over to Gemma’s to pick her up! I showed her the small space that I had made for her (it was a squished ride for the both of us) and we were off! I forgot to mention that as we were driving at night there were a few semi-trucks that had honked at our car. I told Gem that we probably had a gremlin on our car and that they were probably trying to warn us. However, as we were filling up gas the next morning I kept trying to figure out why they would be honking at us. I decided that maybe we should check the tail/break lights. Sure enough, one of the lights was out. We decided that we would get it fixed later down the road. 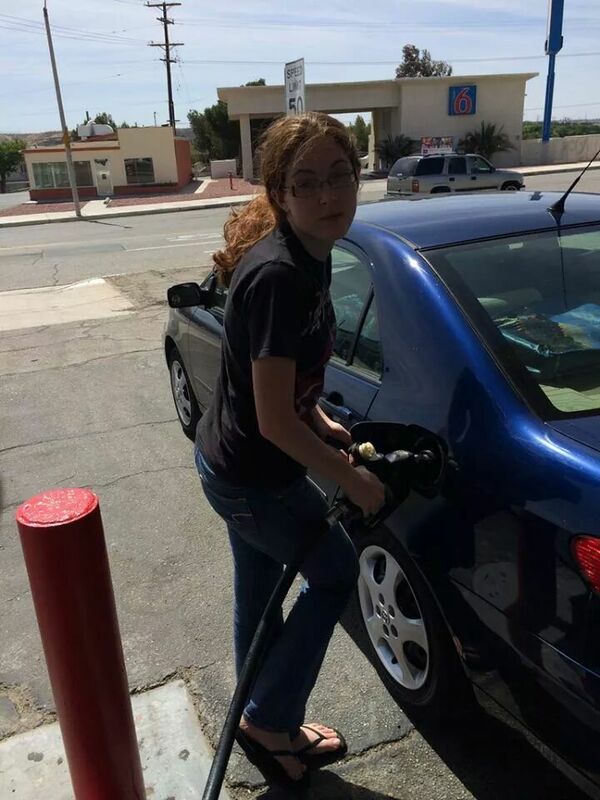 After filling up with gas, we set course for the Grand Canyon. I’m really glad that we decided to make this detour. We only drove along the South Rim, but it was still really cool to see. Hopefully I will make it back one day. For one photo we stopped to take, Gem decided that she wanted to do a yoga pose (crow I believe). She was on top of the rock getting into position when I heard a lady behind me say, “Oh my, she’s going to do a hand stand. I can’t even watch.” I called out to Gem, and said “Wait, you’re not doing a hand stand are you?” She replied no, but the lady still was pretty uncomfortable. At another stop, we decided to venture way off the designated path. In that spot it felt like we were the only two people in the vastness that is the Grand Canyon. Pretty cool feeling if you ask me. The next destination was going to be Four Corners Monument. We made a pit stop in a small town to buy a bulb for my tail light. The lady at the Best Western in Williams had mentioned that there was a place along the way to the monument that had dinosaur tracks. We found the location, but decided not to stop. Maybe I was being silly, but I didn’t feel comfortable leaving all of our possessions in the car to venture out to see the tracks basically in the middle of nowhere. I do want to check it out if we make it back though. As time ticked on, we realized that we weren’t going to make it to Four Corners Monument before they closed, so we decided to just head straight to Albuquerque. As we were heading into town, Gem commented on how there were so many stars! We decided to pull off on a side road to stop and take a look. The road we drove down ended up being near a prison. 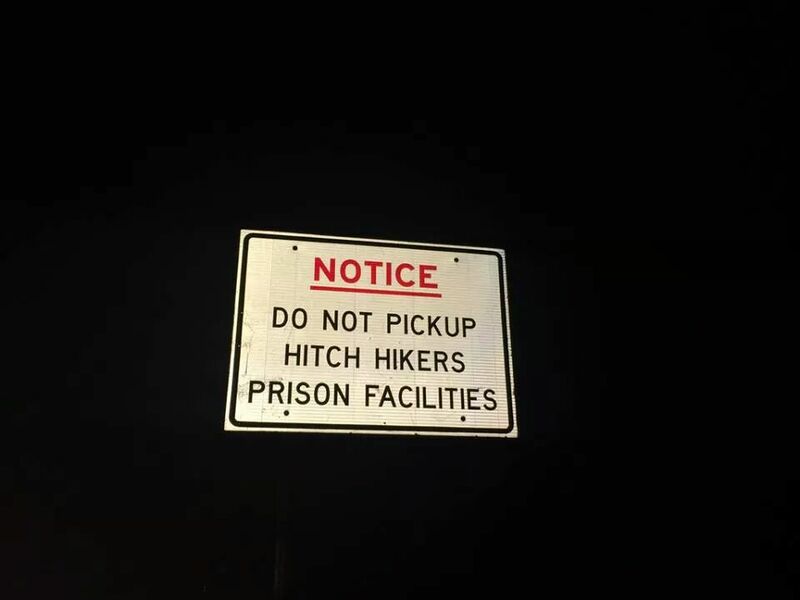 We realized this because we saw a sign warning that hitchhikers might be escaped inmates. At the end of the road we pulled over and admired the stars. On our way back to the main road, I decided that I thought it would be funny to get a picture of that sign warning of hitchhikers. Gem hopped out and ran over to take a picture of the sign and then we were on our way to find a hotel. The next morning, we headed out to find a few locations where they filmed Breaking Bad. We got to see Walter White’s house and the office of his lawyer (Saul Goodman). As we pulled up to Walter White’s house we encountered others doing exactly the same thing. The lady that owns the house came out for a bit and told us that she had lived there for many years and one day got a knock on her door about them using her house in the show. I actually just recently finished the Breaking Bad series. For some reason I couldn’t get into it after the first few episodes, but once I started watching it for the second time I was hooked! Great series and I highly recommend it! 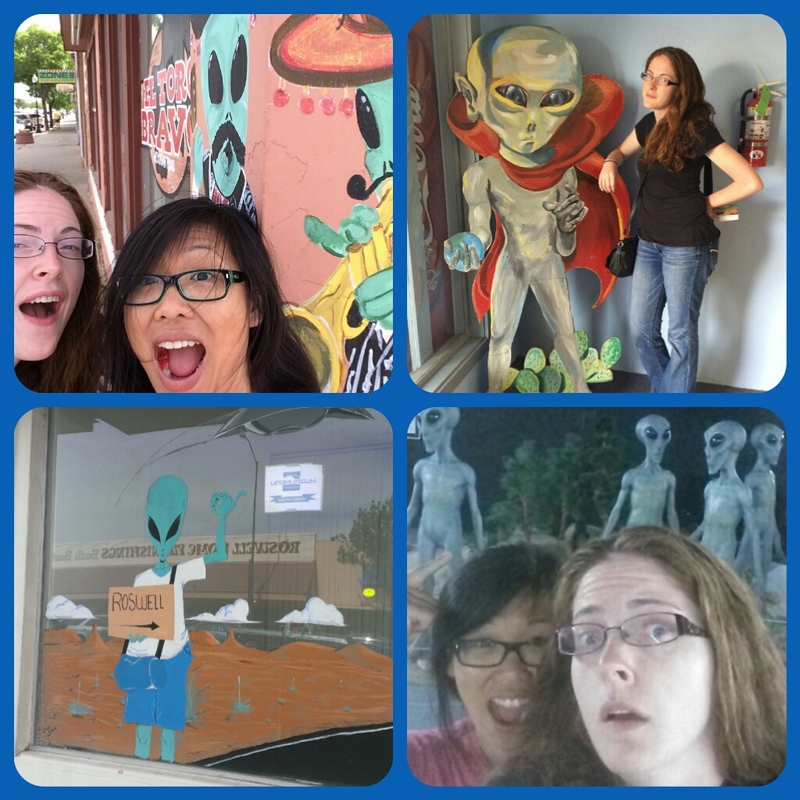 The next stop in New Mexico for our road trip adventure was Roswell! 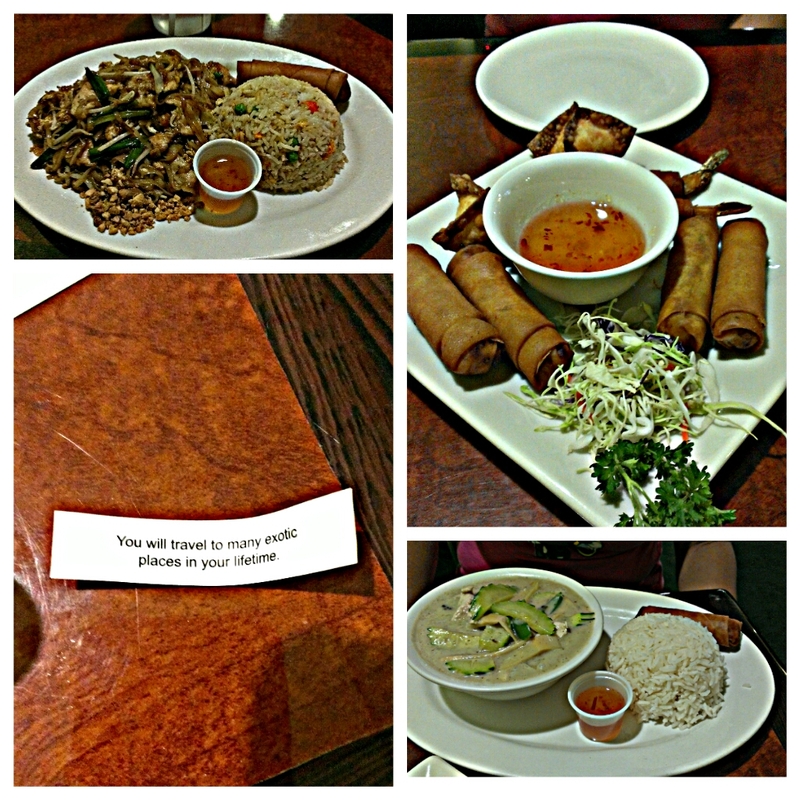 We ate lunch at a Thai restaurant! Then we ventured over to take a tour of the UFO Museum. After Roswell, we began our journey to San Antonio! But I will save that story for another post! 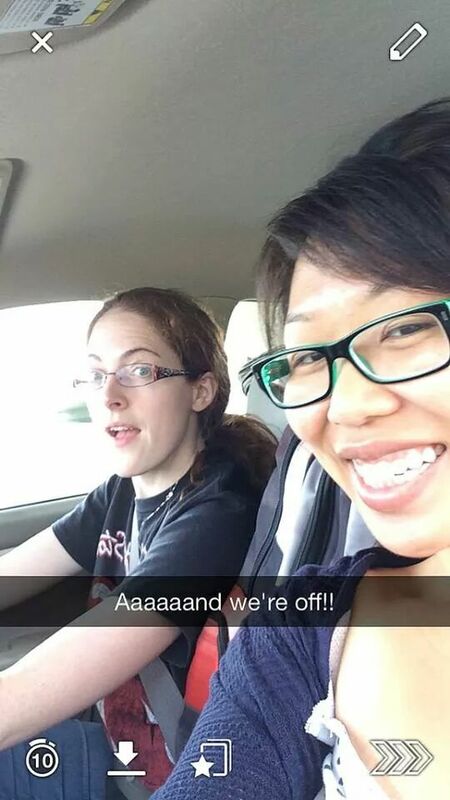 Btw, my friend Gemma is also posting about our road trip!! 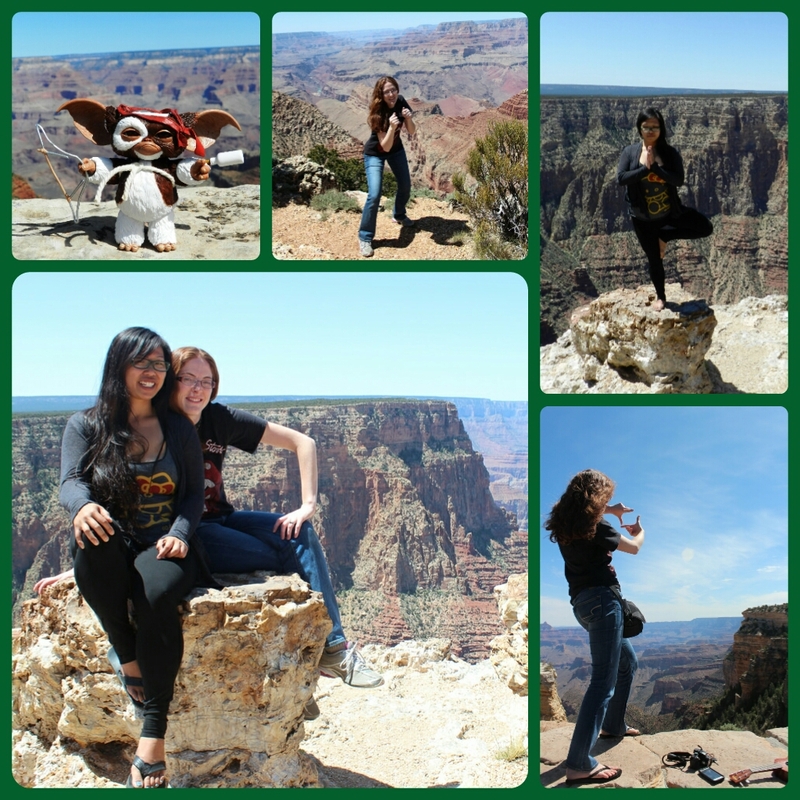 You can read about it here: Jessica + Gem’s Grand Road Trip Adventure: Hot, Cold, and Super Cool! All of our friends that we had made over the past 5 years wanted to hang out before I left and even though I mentioned before that we only had smaller things to wrap up, it still amounted to a lot of time sifting through the piles (plus I was still working at my job and passing on my responsibilities at Newport Bay Conservancy). I remember telling Andrew how stressed I was trying to see everyone before I left. His response was “Oh I’m so sorry that everyone wants to hang out with you.” – that really put it in perspective. I decided that I should be happy and not stress out so much over it. Plus he had a lot more on his plate than I did on mine. My first big meet up before I left was with Erica and Gem. 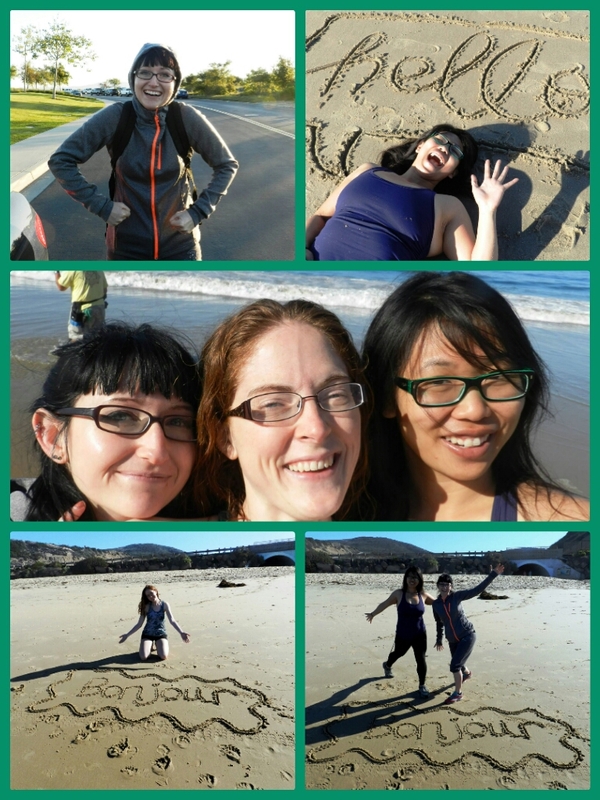 Erica and I had been hiking Crystal Cove for the past year or so (it had kind of became our ritual hike every 3 months). The hike is 4 miles down to the beach and then 4 miles back up. That day I decided that I would complete my Landon Plunge in the ocean! And believe me, it was cold! So much fun with these girls, going to miss hiking there! I had also promised my friend, Mary, that I would join her on one more NBC kayak tour (Andrew and I loved kayaking the Back Bay). If you’ve never been on a kayak tour, I highly suggest you go. 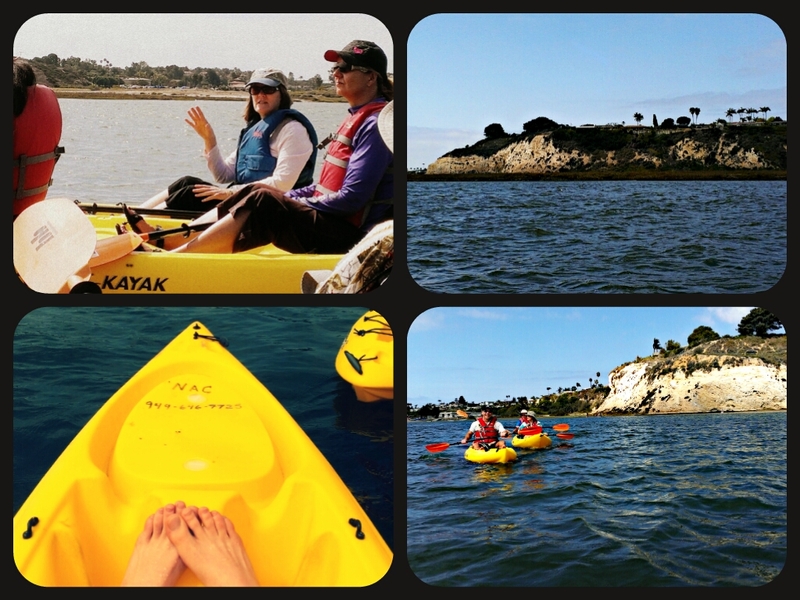 It is a perfect way to spend a Saturday or Sunday morning and it’s not too expensive (check out details here: http://newportbay.org/education/weekend-kayak-tours/). Or better yet, look into becoming a volunteer for Newport Bay Conservancy 🙂 It was a perfect day on the water. 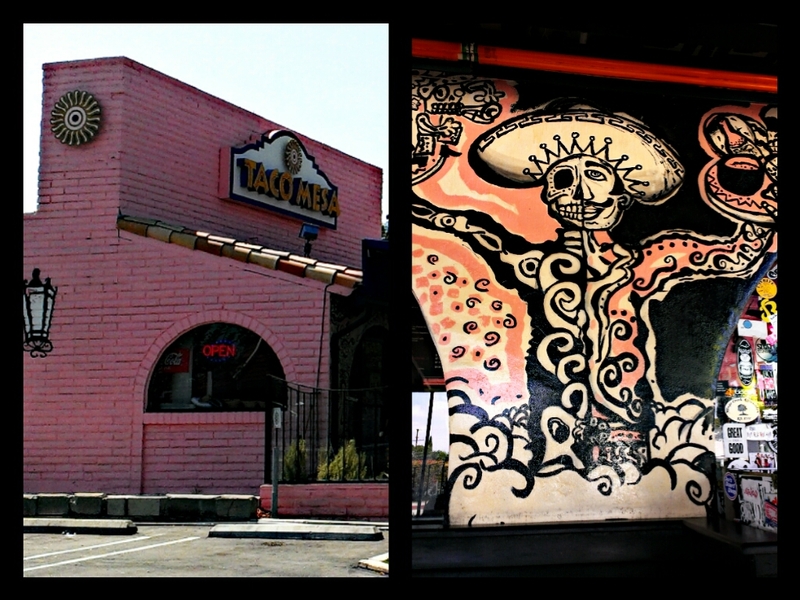 After kayaking, we went to Taco Mesa for lunch. 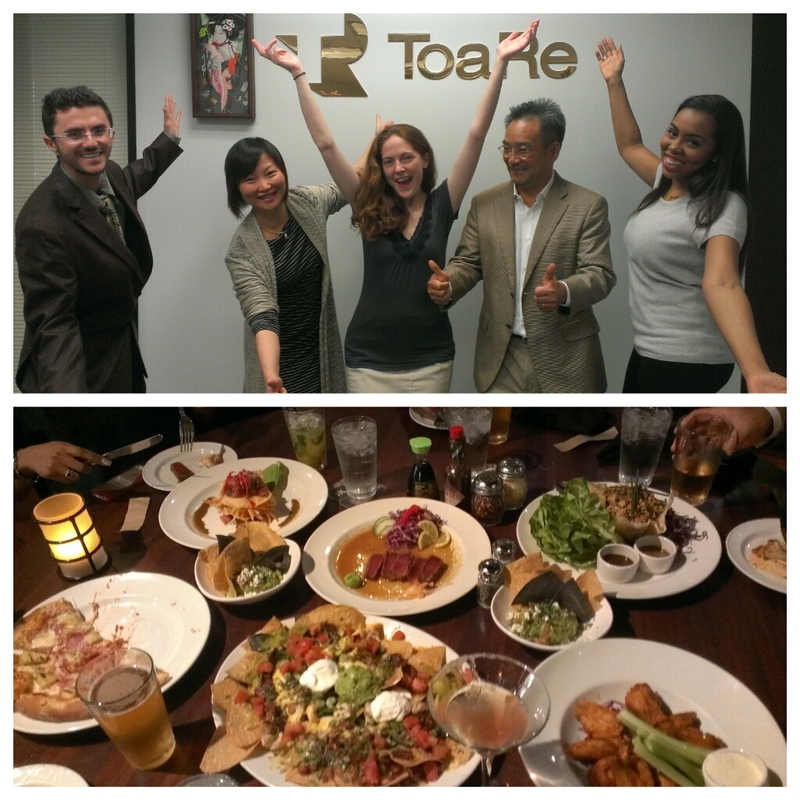 Very good food! I’m sad that I was just discovering Taco Mesa for the first time that day, because I would have definitely made it a regular occurrence if we were staying in the area. 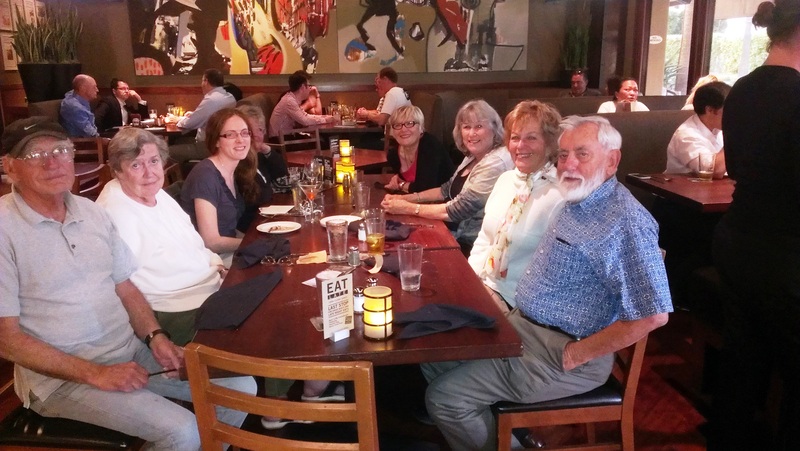 The following day, my friend Kristin was in town. 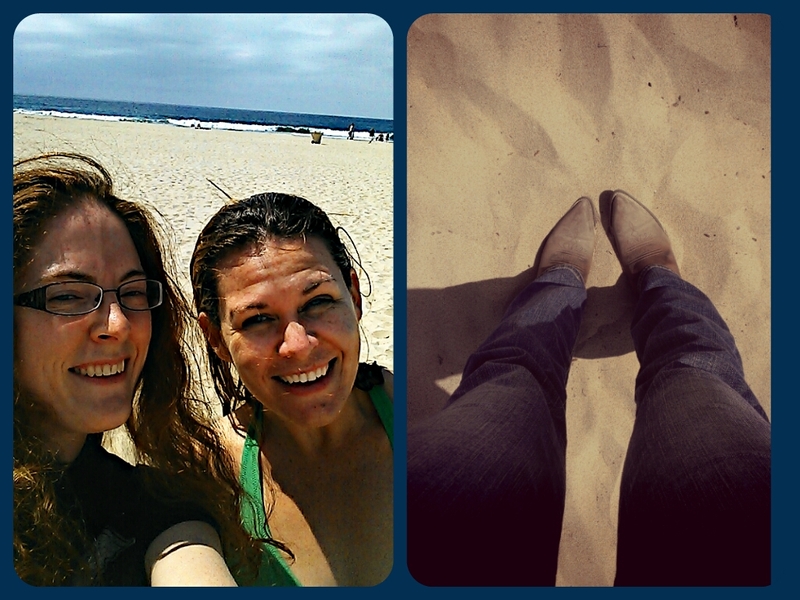 So we headed down to the beach for her to complete the Landon Plunge! 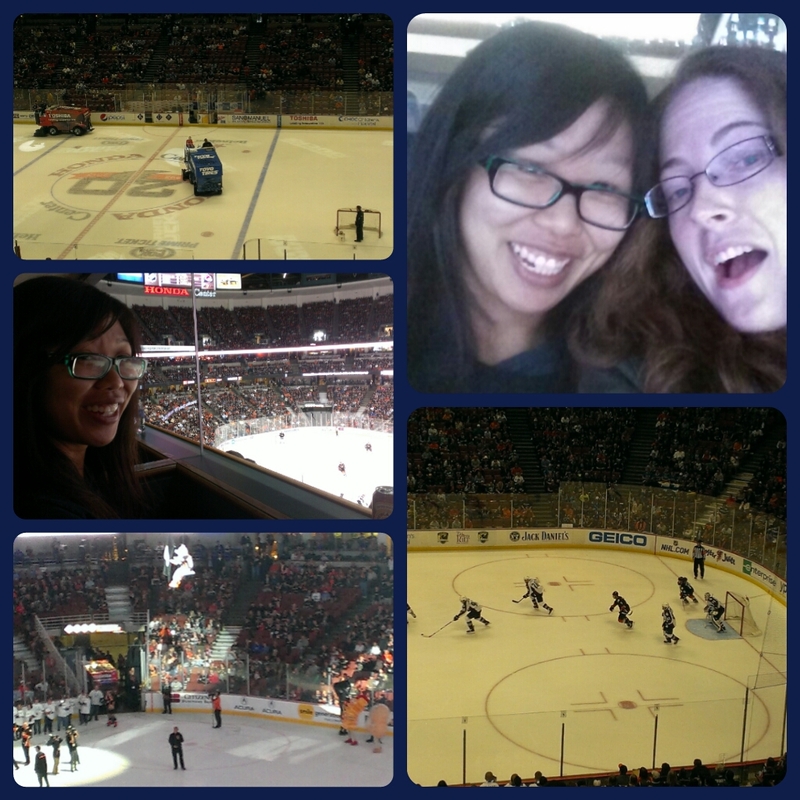 Later that night, Gem and I headed to a hockey game! Go Ducks! It was my first game ever, and I don’t really have a team that I root for, so I just went with the home team and they WON! Gem had gotten tickets from her work and they were box seats, so I’m pretty sure that all other games (as far as seating goes) are ruined for me, but I hope to go again someday. 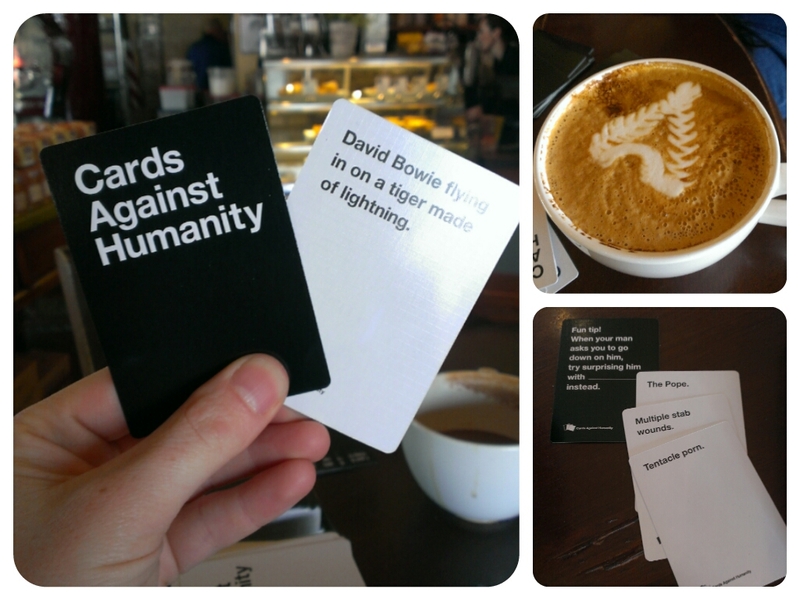 I really enjoyed it! My last big adventure would be with Erica and Alex. They were going to WonderCon and had asked if I wanted to tag along. I still had so much to do, but I definitely wasn’t going to miss out on this! 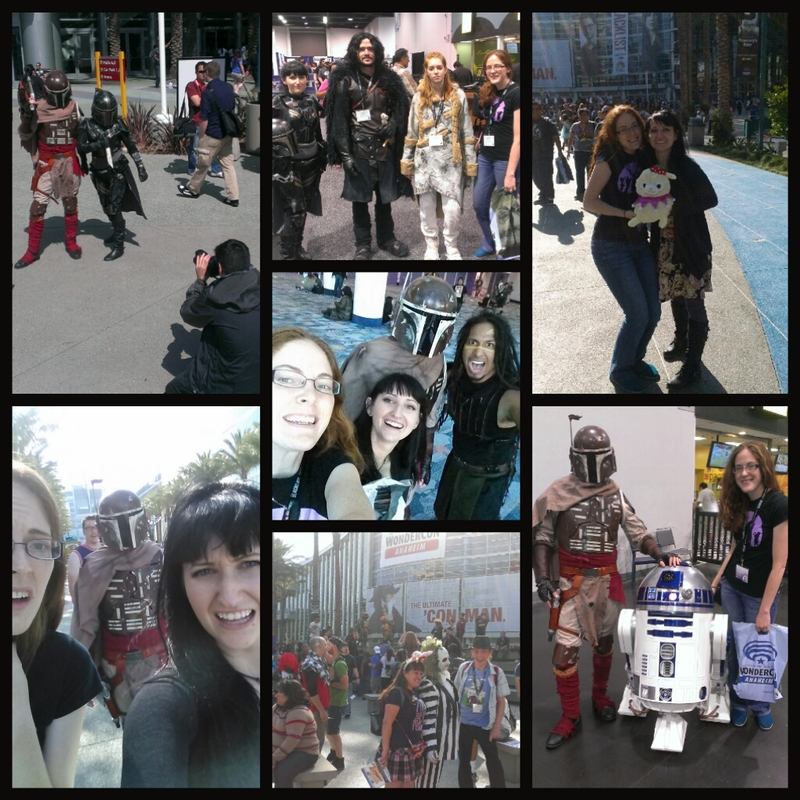 They both dressed up as Mandalorians – their costumes looked great! Everyone wanted a picture with them! It was fun seeing kids so excited to get their picture taken with them. It was great walking around seeing all of the different costumes, displays, and merchandise they had at the event. Sadly, we didn’t listen to any panels that day, but I don’t really feel like I missed out. Maybe I will partake in that the next time I go.